Drum Corps International's plans to host its World Championships in Indianapolis is mentioned in a recent piece by NBC Channel 13 in Indianapolis about the Indianapolis Convention and Visitor's association's 2005 tourism report card. The report says that Indianapolis had 21.7 million visitors in 2005, up from 20 million the previous year, and showed a total of about $3.25 billion in visitor spending. Future tourism outlooks look even better with the construction of the brand new Lucas Oil Stadium. Drum Corps International is one of 46 organizations already booked to use the facility. 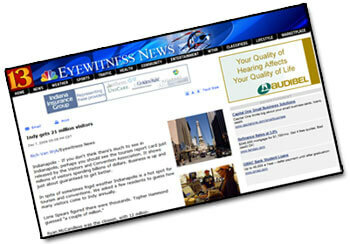 Read the article on www.wthr.com.